Semax Buy Now! 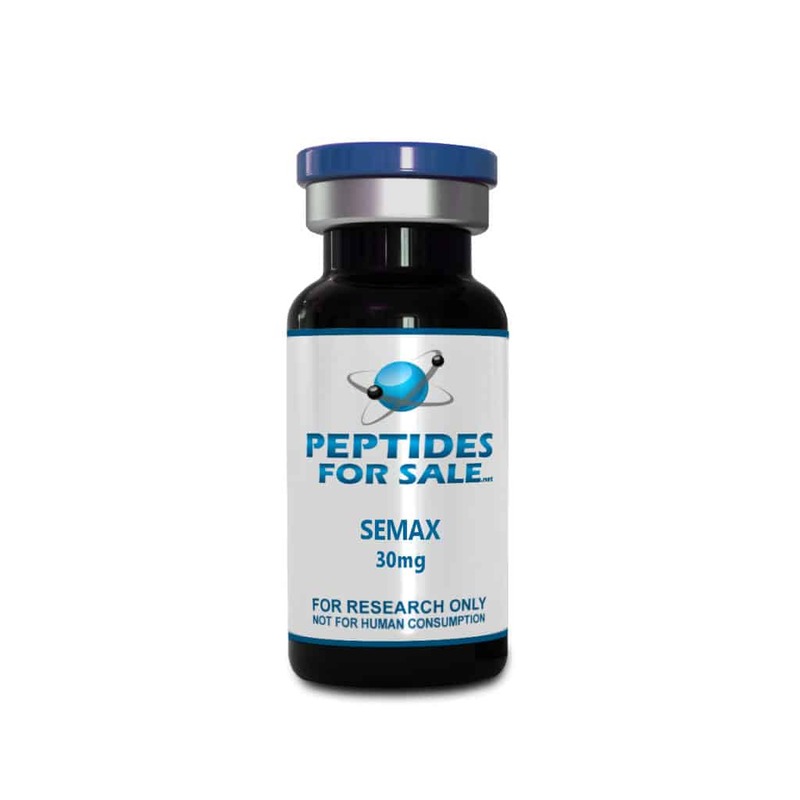 30mg Semax for sale at Peptides for Sale with the largest selection and best prices on all Peptides and Research Chemicals. Semax is a drug produced and prescribed mostly in Russia and Ukraine for a broad range of conditions but predominantly for its purported nootropic, neuroprotective, and neurogenic/neurorestorative properties. Semax is heptapeptide as well as a synthetic analogue peptide fragment of the adrenocorticotropic hormone (ACTH). Semax quickly raises the levels of BDNF (Brain-Derived Neurotophic Factor) and TrkB, its signalling Receptor in the hippocampus and also quickly activates dopaminergic and serotonergic brain functions. Semax has also been seen to produce anxiolytic and antidepressant like effects, attenuate the behavioral effects associated with prolonged chronic stress and potentiate the locomotor functions created by D-amphetamine. Studies have associated these types of results with the treatment of depression and ADHD, Attention Deficit Hyperactivity Disorder. It is unclear exactly how Semax works, which is the reason it is still being studied as a research chemical. There has been some evidence that is may possibly act through the melanocortin receptors. Semax has a poor bioavailability.